Supertuff Europe manufacture a comprehensive range of dispenser systems that are widely used throughout the food preparation and manufacturing industries. 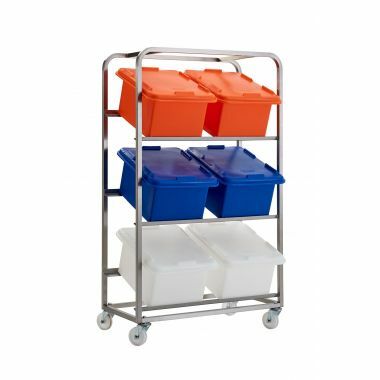 The system comprises food ingredient bins and a stainless steel chassis that is situated on manoeuvrable swivel castors. 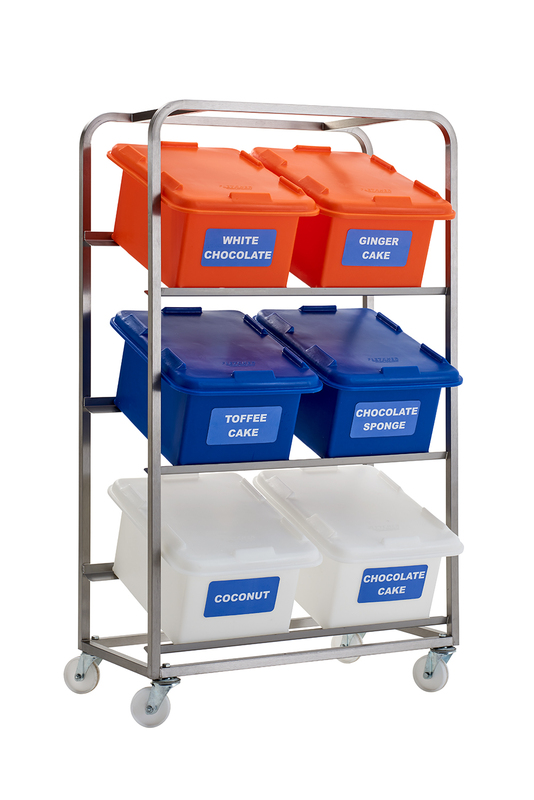 The plastic containers are manufactured in our UK factory from food grade polyethylene that is rotationally moulded to create a product that is seamless, watertight and can withstand robust handling. We have produced several models to cater for a wide range of individual requirements. 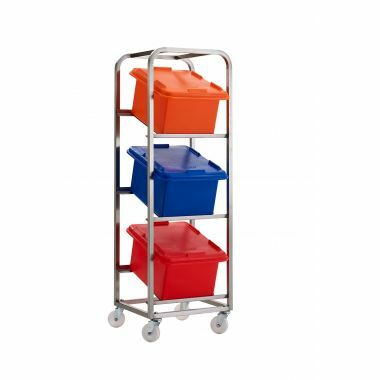 The multi-trolleys with large ingredient dispensers are designed as a mass storage solution for bulk products such as mixed dry fruit and flour, their large capacities and smooth interiors make them easy to clean inbetween uses. Their large openings are also well suited for scoops. For a more versatile dispenser system, RM10MTSS is supplied with both large and small ingredient dispensers. 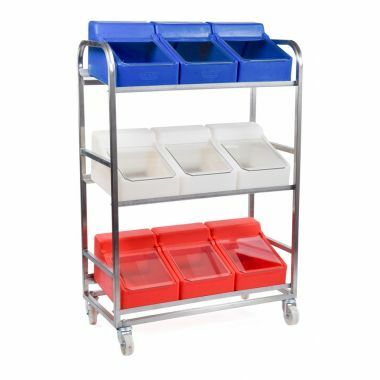 These trolleys are particularly popular in the food industry as a one-stop station for ingredients, but are also commonly used in mechanical engineering for storing nuts, bolts and larger components. The frame and containers are designed to survive many years of heavy use so their functionality extends to whatever can be be stored inside. The containers are supplied with clear plastic flaps as standard to provide good levels of visibility to the products stored inside. 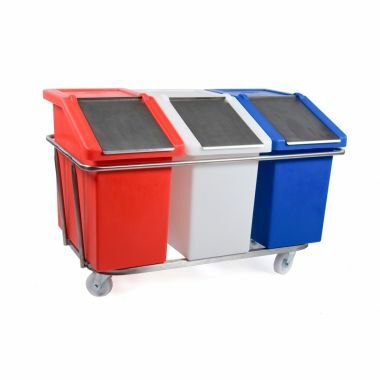 For a more high quality and hygienic finish, the flaps can be upgraded to stainless steel. 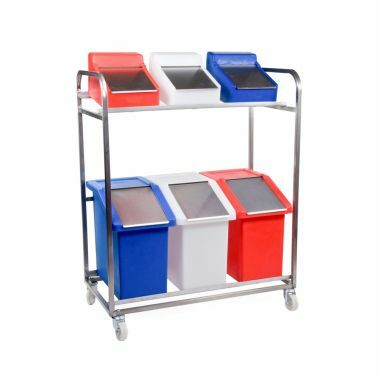 All ingredient dispenser bins are available in a wide variety of colour options to adhere to colour coding systems.